We are honored to be a finalist for the 2016 Sunset Travel Awards recognizing a tasting room or vineyard tour that illuminates viticulture and enology, has fun doing so, and offers guests a chance to sample excellent wines. Thank you Sunset Magazine! 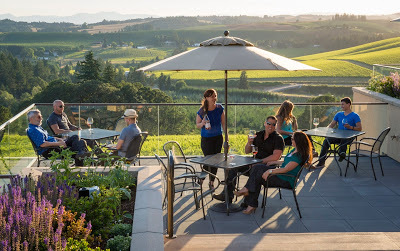 Visit our Estate Tasting Room to learn about the incredible story of our winery and the Oregon wine industry as you take in the sweeping vineyard views. The setting is warm and relaxing with cozy fireplaces and seating areas, reclaimed wood floors made from pallets from the Port of Portland, and an expansive patio and courtyard. We offer Daily and Reserve Tasting Flights, a Food Pairings Menu to enjoy with your favorite wines, and a complimentary Daily Tour or Private Tour and Tasting experience. Open Daily 11 am - 6 pm. For more information visit our website. 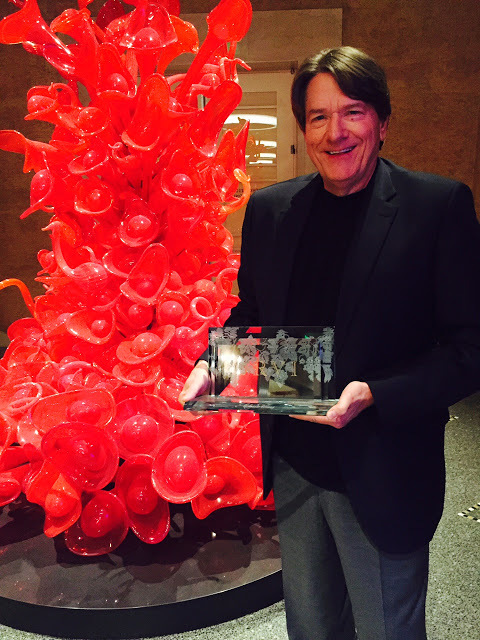 Founder Jim Bernau accepts the ORVI Award for his achievements in building the Oregon wine industry. Our Founder, Jim Bernau, was honored as the recipient of the ORVI Award at the Classic Wines Auction on March 5, 2016. Each year since 2002, the ORVI Award has been awarded to individuals who have demonstrated significant achievements in building the Oregon wine industry and establishing its worldwide reputation. The ORVI award is presented to individuals that have not only elevated the status of Oregon wines, but have also provided generous support to the Classic Wines Auction. These individuals are leaders in the Oregon wine industry and are recognized and respected for their professionalism and philanthropy. The Classic Wines Auction has been working in partnership with local charities to raise funds for children and families since 1982. Consistently recognized as one of the top ten charity wine auctions in the country by Wine Spectator Magazine, the Classic Wines Auction has raised over $35 million for Portland area charities since its inception. Jim is honored to be included among the distinguished past ORVI Award recipients.